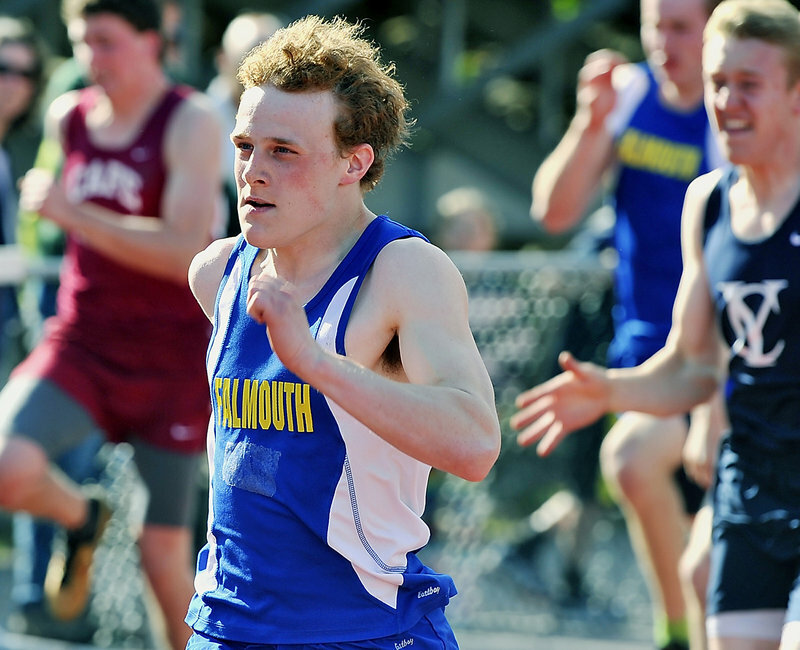 Falmouth’s Jacob Buhelt finishes first in the 100-meter dash with a time of 11.7 seconds during Friday’s track meet at Yarmouth High School. Buhelt also won the 200-meter dash. 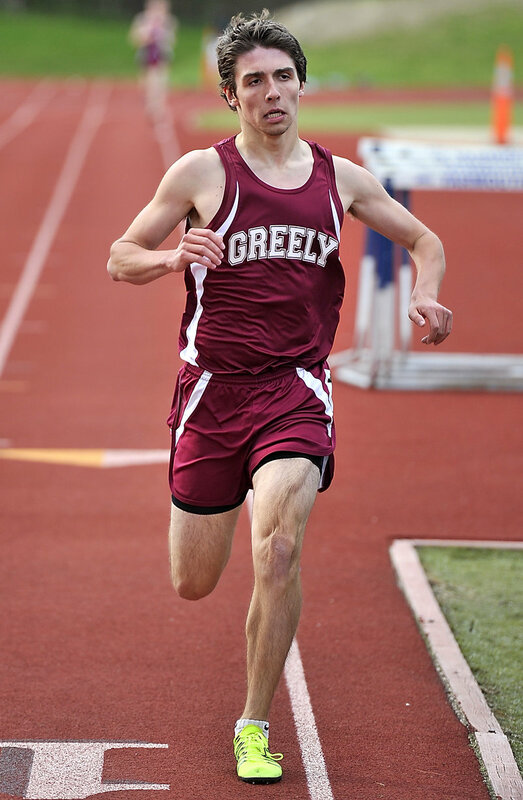 Greely’s Liam Campbell finishes well ahead of the competition in the 1,600-meter run. Campbell’s time of 4 minutes, 37.6 seconds was more than 20 seconds ahead of the next finisher. 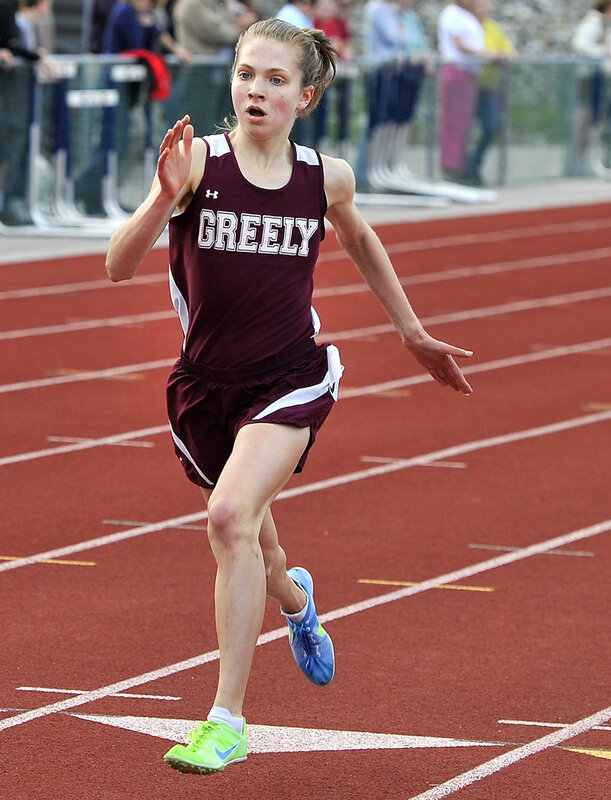 Kirstin Sandreuter of Greely cruises to win by a comfortable margin in the 1,600-meter run. Sandreuter finished 38 seconds ahead of the second-place finisher.